*A 'pitch raise' or double tuning is required when the piano has been allowed to slip below a reasonable level from A-440. Gus Roddy was enamored with the piano and began formal training at age 12. His early training was with Barbara Kraeder of Northwestern University. He also studied jazz with Larry Novak, De Paul University. 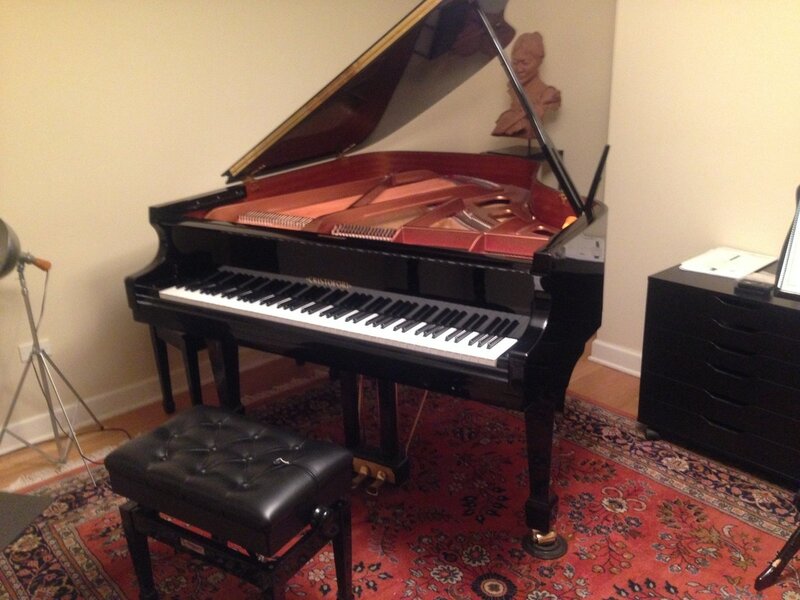 Gus became interested in tuning pianos through his friend Ron Johnson, Registered Piano Technician. 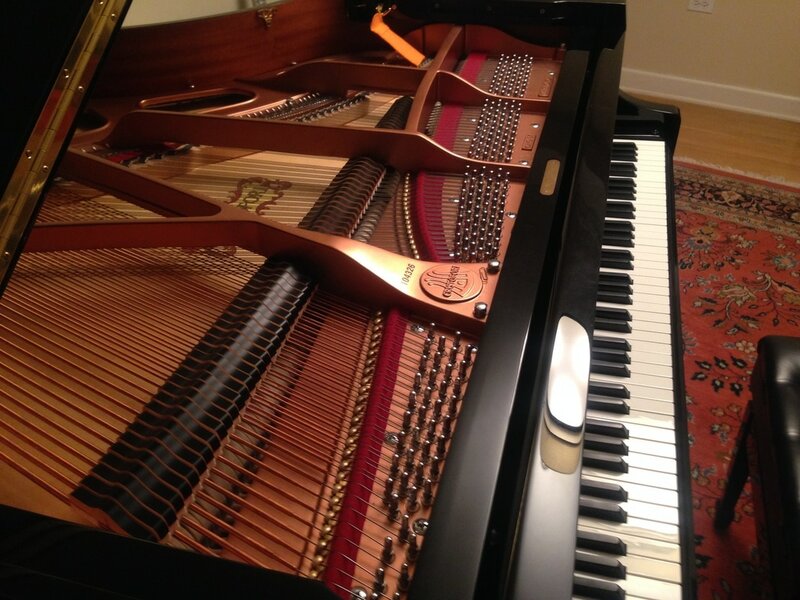 Later he attended and graduated from the prestigious Chicago School for Piano Technology, and is expanding his education through an association with the North Shore Chapter of the Piano Technicians Guild. Gus is currently the piano technician for Reba Place Church, Evanston. His other musical adventures include composing gospel music and performing for many religious organizations. Gus is a registered piano technician. 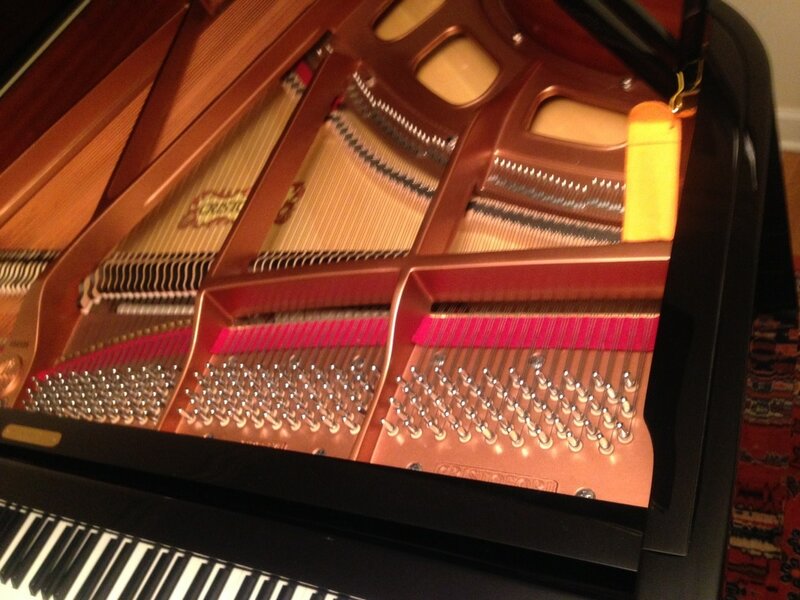 He has passed the stringent requirements of the piano technicians guild for repair, regulation and tuning of pianos. 5'2" length, $12,590 list, sell for $6000. Includes moving costs, one tuning.